State-owned Finnish drinks group Altia has confirmed it will launch an initial public offering (IPO), while reporting a slight uplift in sales for its 2017 fiscal year. Altia, which owns brands including Koskenkorva vodka and Renault Cognac, will launch an IPO on the Official List of Nasdq Helsinki. The confirmation comes as the group disclosed its full-year sales to the year ending 31 December 2017, which saw a 1.3% rise in net sales to reach €359 million (US$442m). The listing is expected to include a share sale by the State of Finland, as well as an employee offering to Altia’s workers, in which the company would issue new shares. Pekka Tennilä, Altia CEO, said: “We have a stable market position in our core markets. We have developed our business operations systematically and in line with our strategy, and have turned the company towards profitable growth. “It is important for us to develop our Nordic quality brands and bring new, interesting product innovations to the market. Altia first revealed that it was considering an IPO in October last year. Commenting on the company’s full-year results, the group noted “stable growth” across its Nordic core brands, highlighting Koskenkorva vodka and OP Anderson Aquavit’s expansions to the US and Larsen Cognac’s move into Asia. The firm also said it enjoyed a “strong performance” in Norway in the aquavit category. 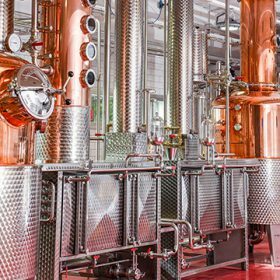 In May last year, the firm opened its aquavit-producing OP Anderson Distillery in Sweden. Altia also increased its use of local resources, using 7% more local Finnish barley to make its Koskenkorva vodka compared to the previous year. The plant used 206m kg of Finnish barley last year alone.